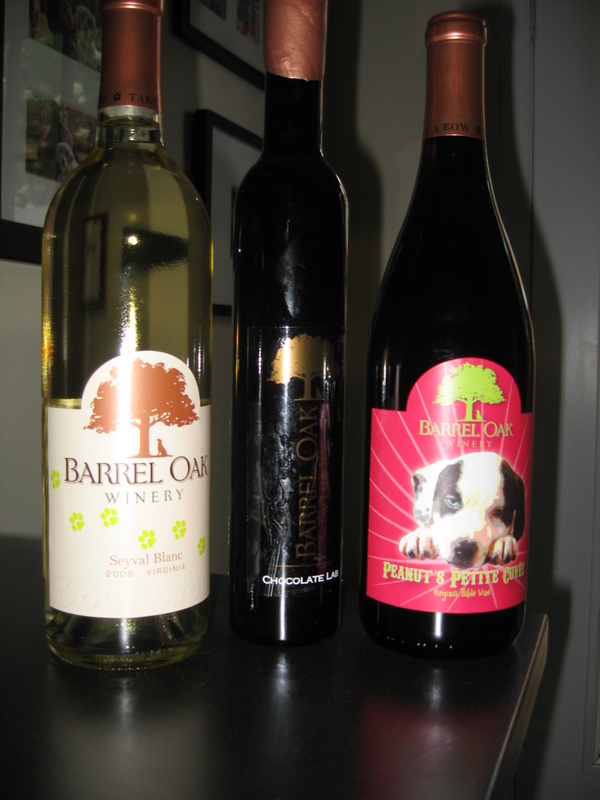 Barrel Oak Winery (BOW)(see July 2 post) is holding its annual Dog Days of Summer celebration this weekend, July 31 and Aug. 1. BOW is always dog-friendly, but this weekend features special activities like a cutest and ugliest mutt mug contest with prizes and live music from Poor Ellen Smith. On Sunday, there will be two performances by the Great American Disc Dogs. BOW has plenty of space to relax with your dog. There will also be dog toys and shirts to buy, puppies and dogs for adoption, and free samples of Chow Now’s organic pet food and frozen treats. If you bring a donation of pet food, BOW will give you a full wine tasting for free, which I believe is worth $10, and all donations will go to the Fauquier SPCA. A selection of BOW wines. Every time I’ve been to BOW the staff has been incredibly welcoming, nary an eyebrow is raised when dogs put their paws on the tasting counter, and the water bowls and treat jars were always full. I also have to sing the praises of their Chocolate Lab dessert wine–talk about the best of both worlds, a sweet, rich red wine with more than a hint of chocolate. 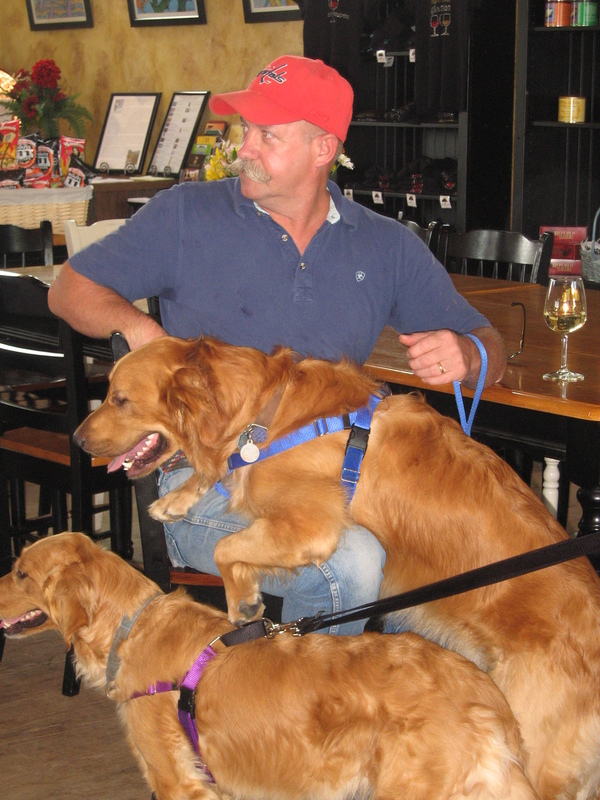 Even with all the space at BOW, Goldens still crowd their owner. 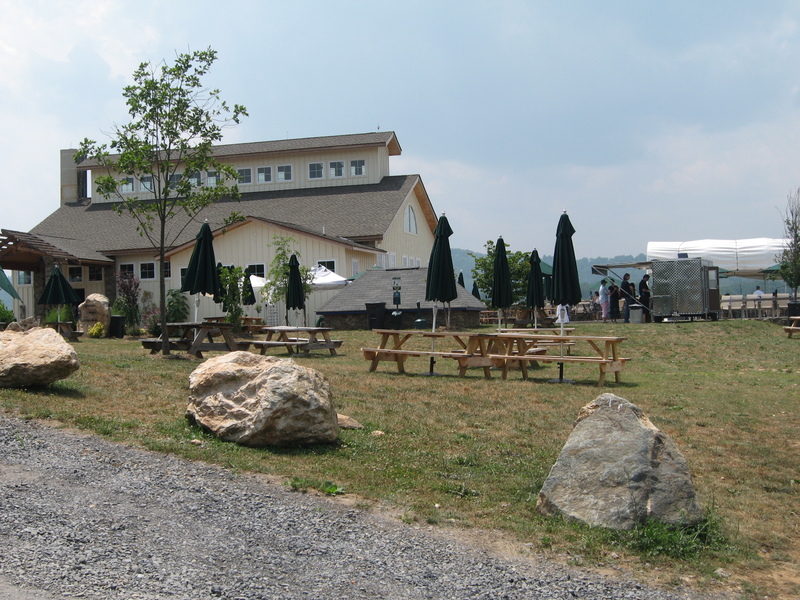 BOW is at 3623 Grove Lane, Delaplane, Virginia 20144.